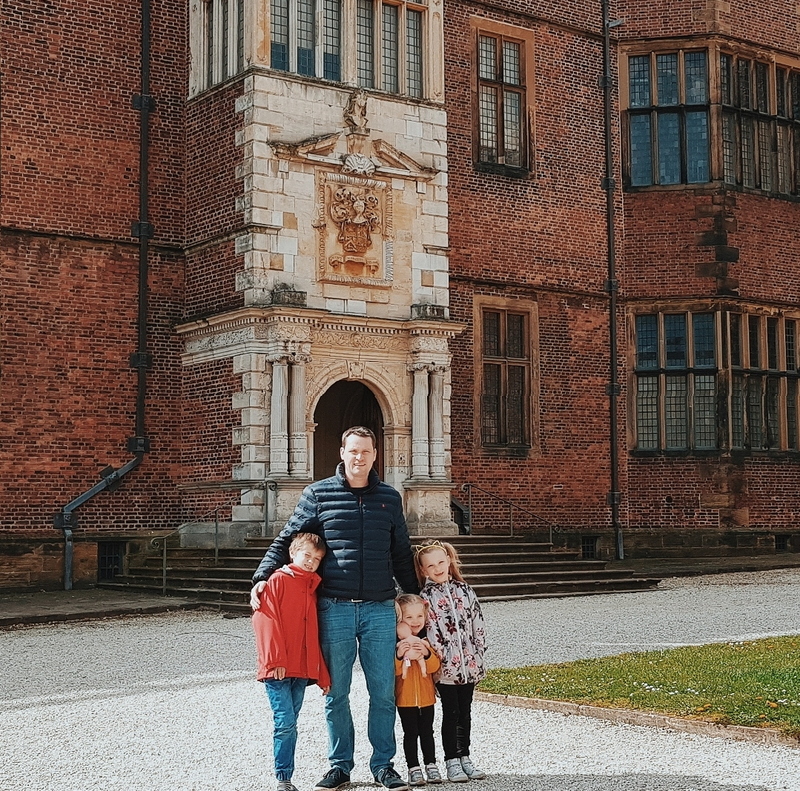 As a family we love Temple Newsam in Leeds and have lots of fond memories there. As students we would play wide games with our friends in the grounds, and as a new couple we had many a sunday stroll there round the house gardens. 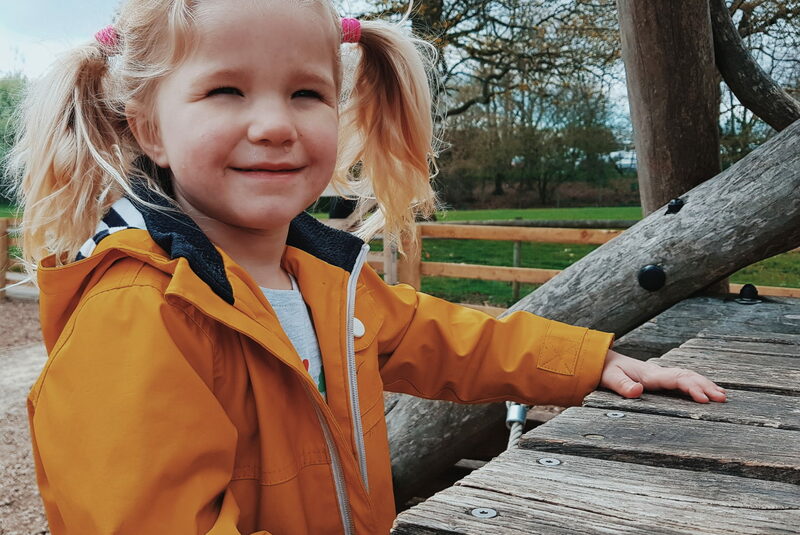 As we have grown our family, I have loved taking the kids to the play area and farm, and to ride bikes and take woodland walks together as a family. In all of the years we have visited though, and for reasons I don’t even know, we have never visited the house. 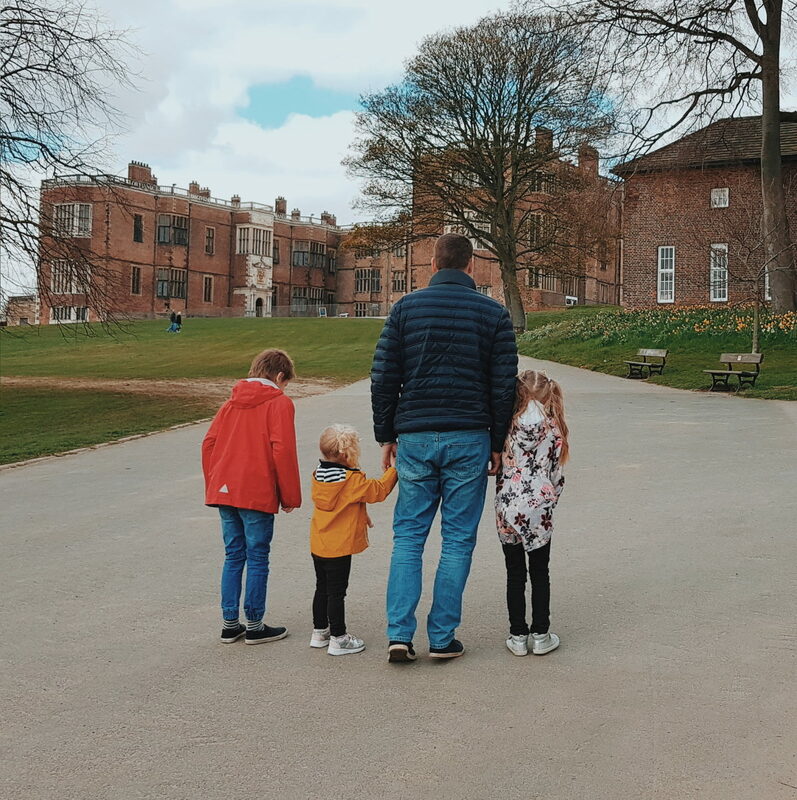 This last Saturday however that all changed – when we were invited for a visit and left having had a whole load of family fun at Temple Newsam. Temple Newsam House is a truly impressive Tudor-Jacobean mansion Situated in East Leeds (just off Junction 46 of the M1 North). It is a large estate containing 500 years of history and set in 1500 acres of parkland. 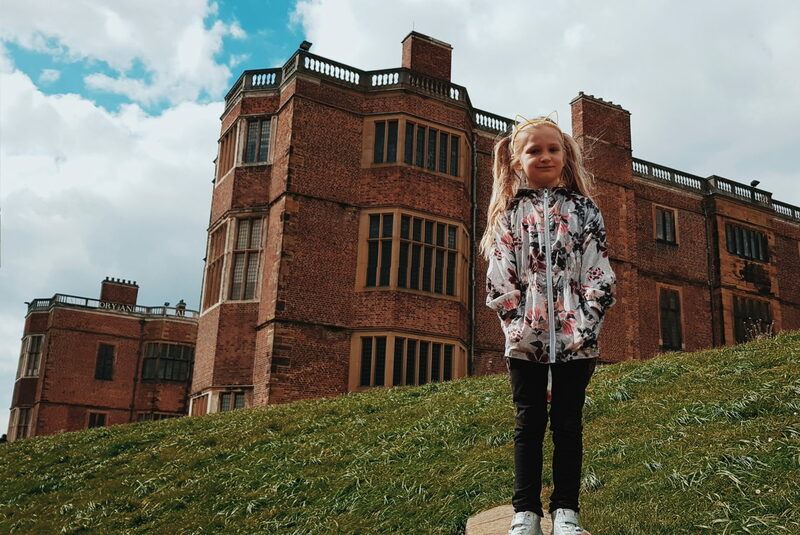 Temple Newsam is famous for being the birth place of Lord Darnley – notorious husband of Mary Queen of Scots – and is a fab place for a day out. Described as one of the best stately homes in Britain and beautifully restored to its former glory, you can explore rooms filled with fine and decorative art treasures, catch the latest exhibition or uncover the secrets of the past residents. Around the parkland you can walk, ride bikes with the kids or play games and picnic. They have an outdoor amphitheater, farm and play area, as well as the recent edition of Go Ape too. 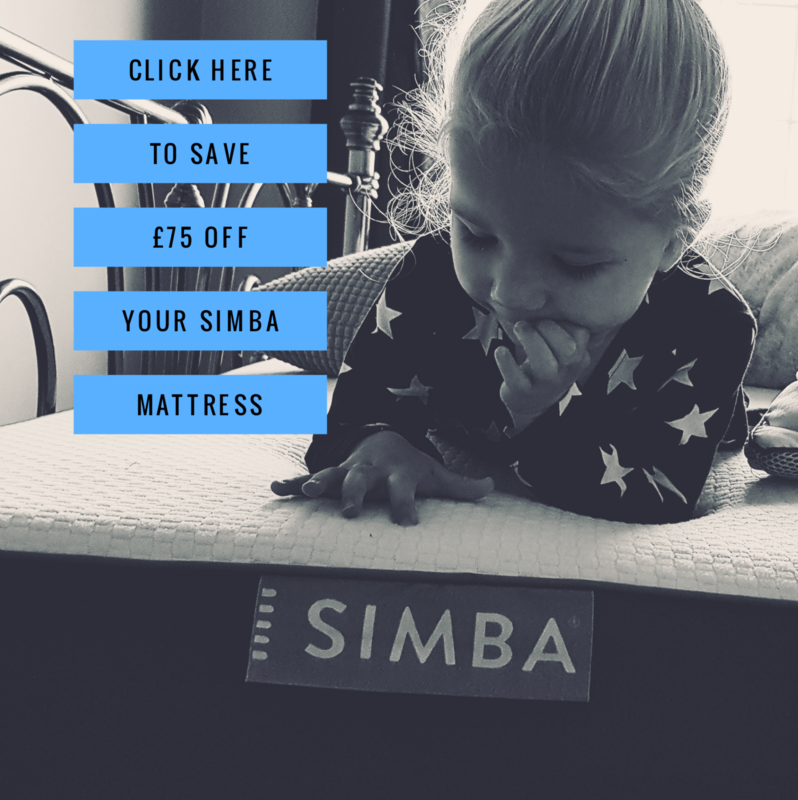 There are ample things to do there to fill a day with the kids and to suit any budget (even if that budget is “Free”)! 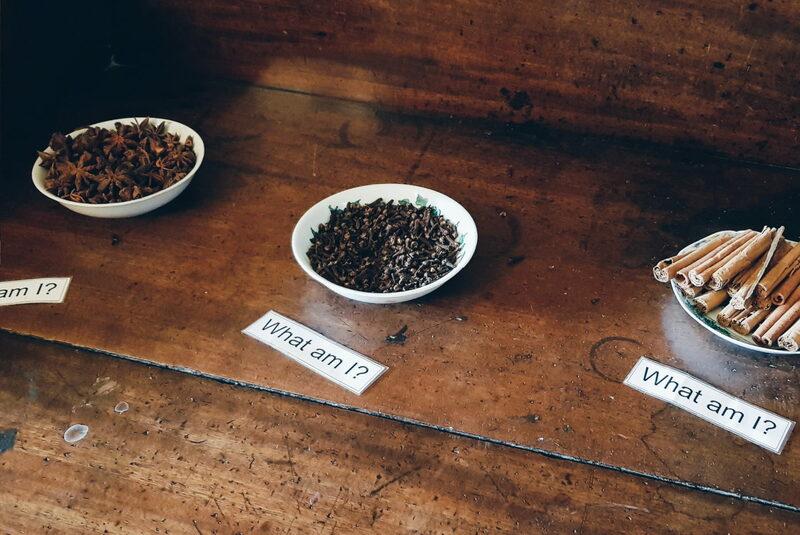 Visiting Temple Newsam house was a first for us on Saturday. I was so excited about this prospect and it was the first thing we did after getting our tickets. Wandering around historic houses brings me great joy and this one is up there as being amazing and lovely. 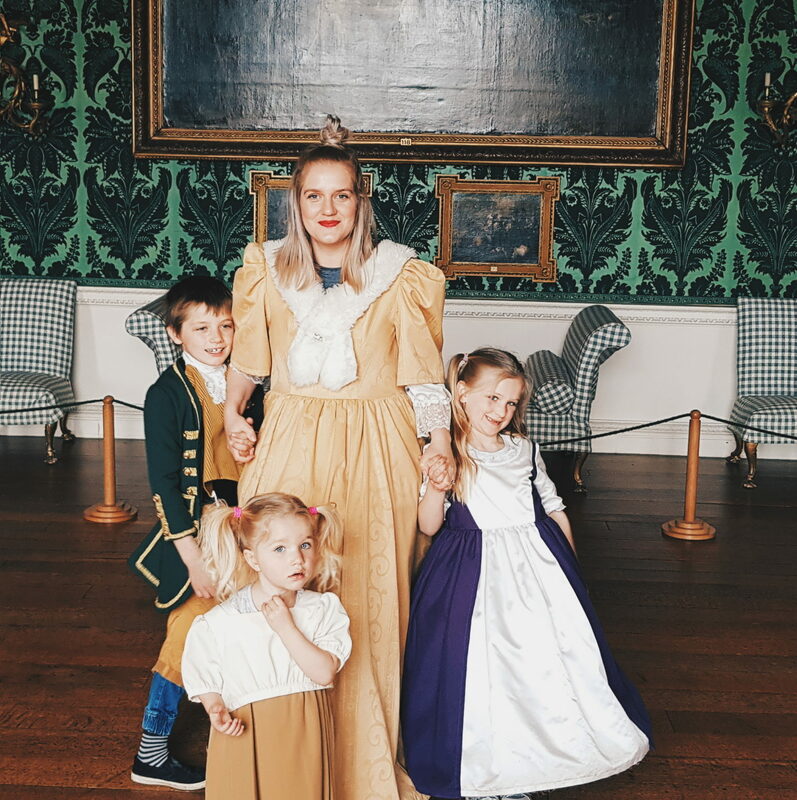 The kids have visited enough historic houses that they know how to behave (mostly) and with all of the kid friendly things on offer, it was easy to hold their attention for the 90 minutes or so we spent exploring it. 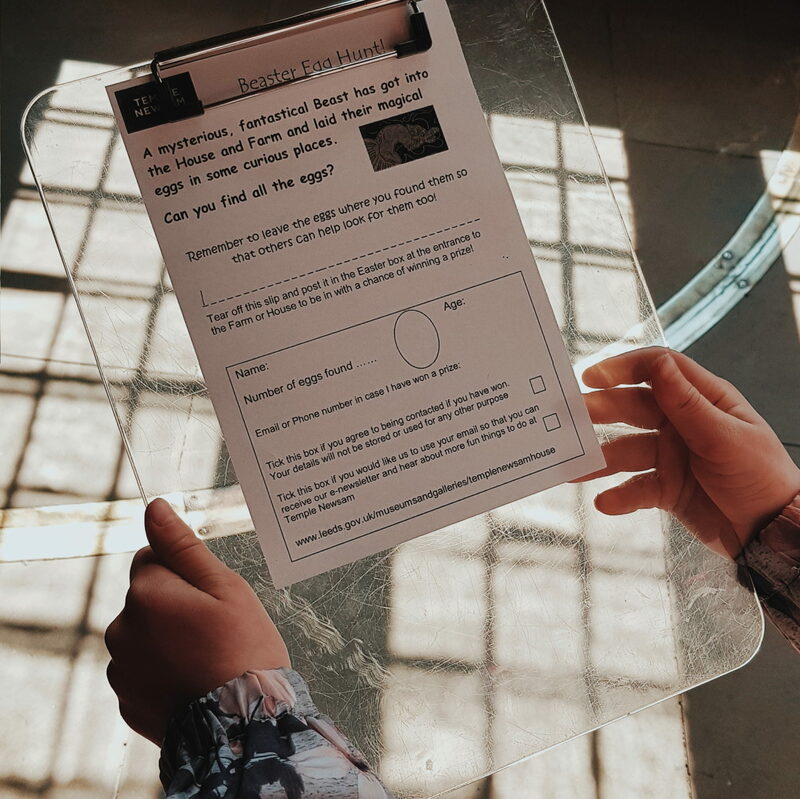 Until the 22nd April, they have on a “Magical Easter Eggs” hunt around the house, where children have the chance to look for fantastical monster eggs and be in with the chance of winning an “eggcellent prize”! This is part of their long term exhibit of Fantastical beasts that runs until the 3rd of November this year (2019). In addition to this they also highlight all of the animal and beastly themed art works and furniture in the house too to look for. 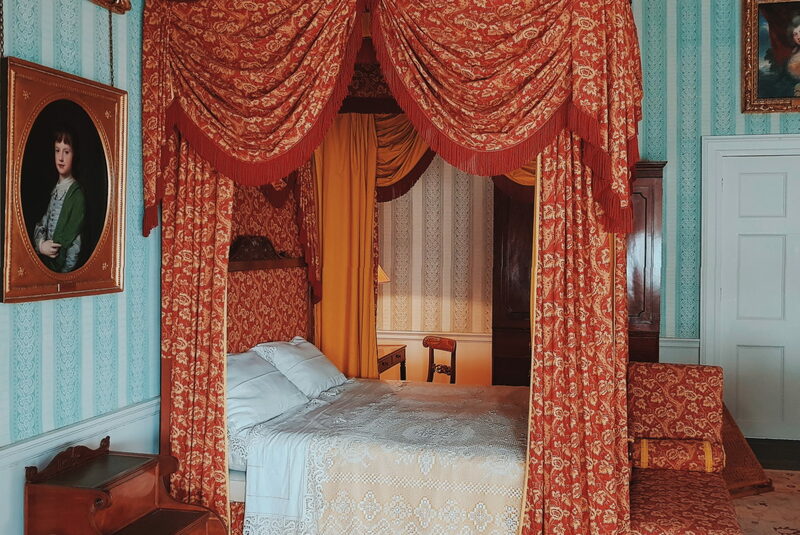 I loved everything about the house; the rooms were interesting and beautiful, the artwork impressive and small intricate details of furniture were fascinating. 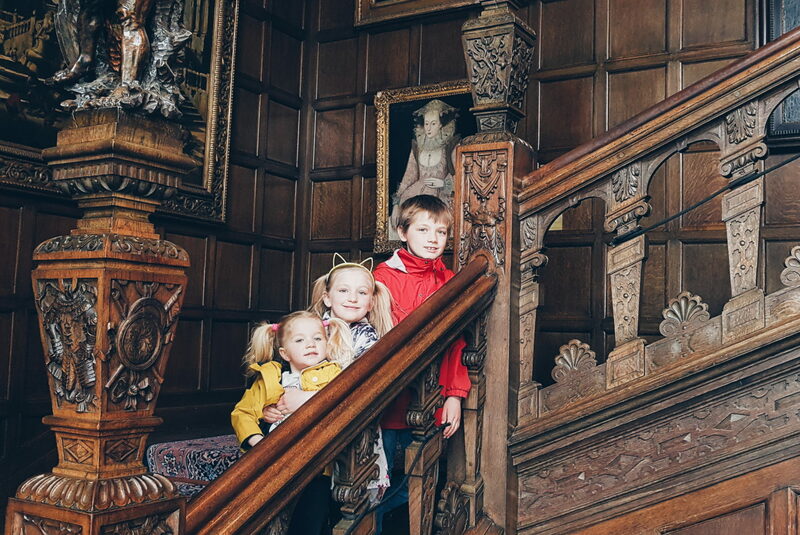 We enjoyed walking through the great hall, up the beautiful staircase and generally admiring its history and beauty. There were so many things for the kids to become engrossed in and learn about from history, as well as hands on things to play with. There were things to read and smell in the kitchens, clothing and wigs to dress up in upstairs (our personal favourite of the day!) and paintings to pop your head through and take funny pics! They even had a playroom towards the end of the tour that brought them a lot of fun and imaginative play. 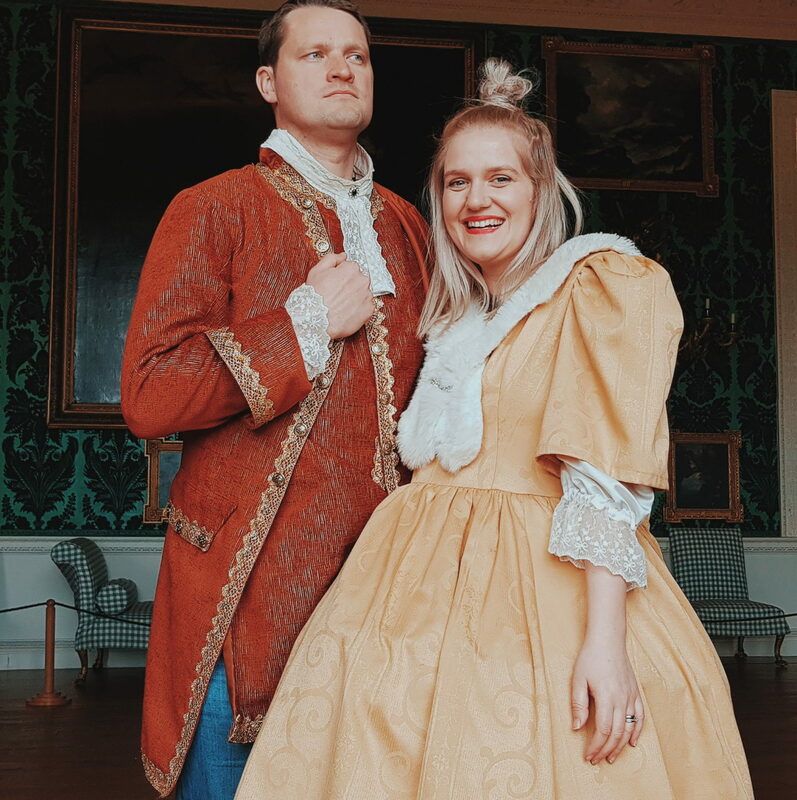 Dressing up together in historical costumes, and hunting eggs hidden in the grand rooms, was such a lot of fun for us all and brought everyone a lot of laughs and joy! Following lunch in the car (it was too cold for a picnic) and a play on the park, we spent the remainder of our visit at the farm. 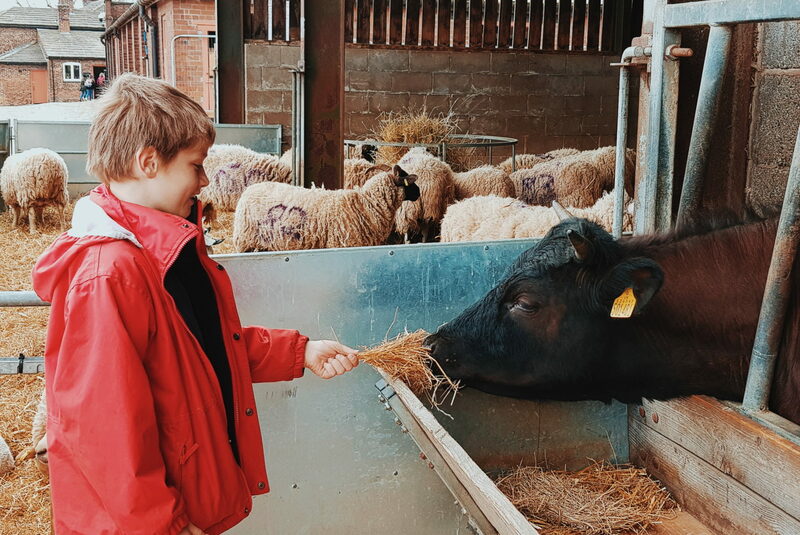 I have always loved Temple Newsam farm as a day out with the kids because they have a great variety of animals, as well as spaces for the kids to play and also areas of agricultural history. The little wooden park at the bottom is often quieter and one I prefer. 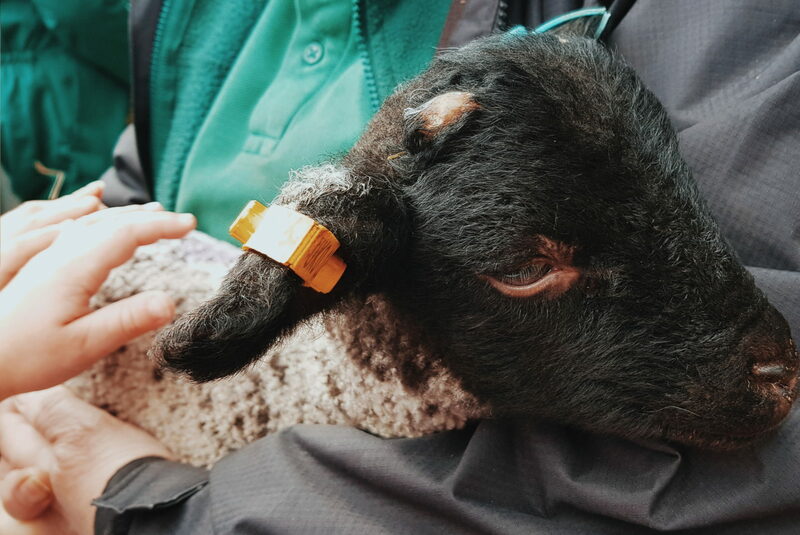 Visiting the farm at this time of year was ideal too as they are right in the swing of lambing season and welcoming into the world many baby animals. 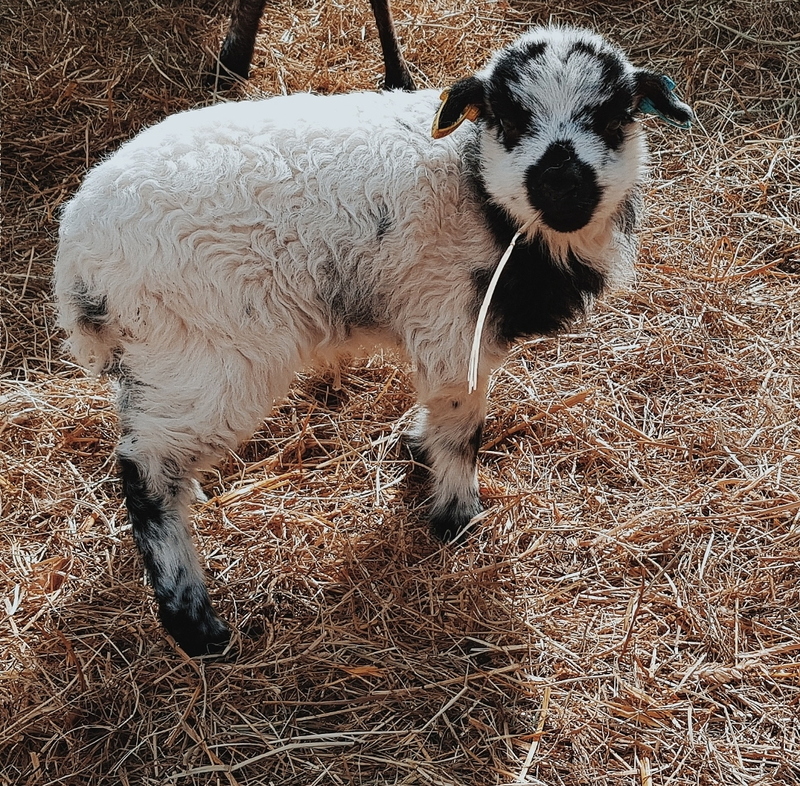 We were fortunate enough to be able to stroke a 1 week old baby chick, a fairly new lamb or 2 and chase the cheeky baby goats that had hopped out of their pen. We enjoyed seeing the piglets playing and nuzzling one another and the vast variety of lambs and calves in the holdings. They had some rather funny looking turkey’s, rabbits and guinea pigs, chickens and donkey’s too. 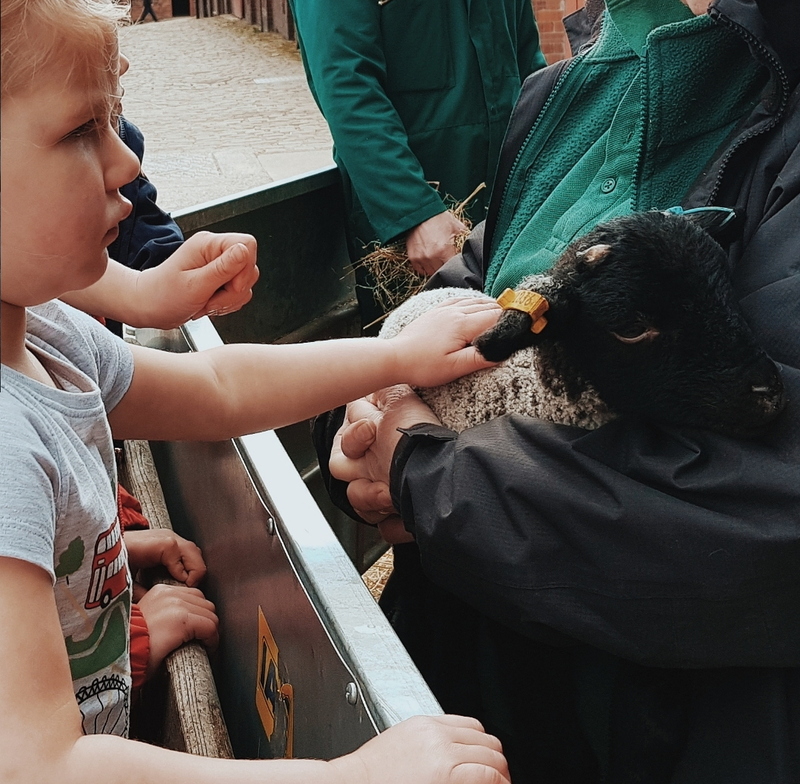 Baby animals are so cute and were certainly appreciated by us all – the kids loved petting the lambs and watching the goats frolicking in the yard! We just enjoyed strolling around it in the sunshine and cooing over the cuteness of the animals. 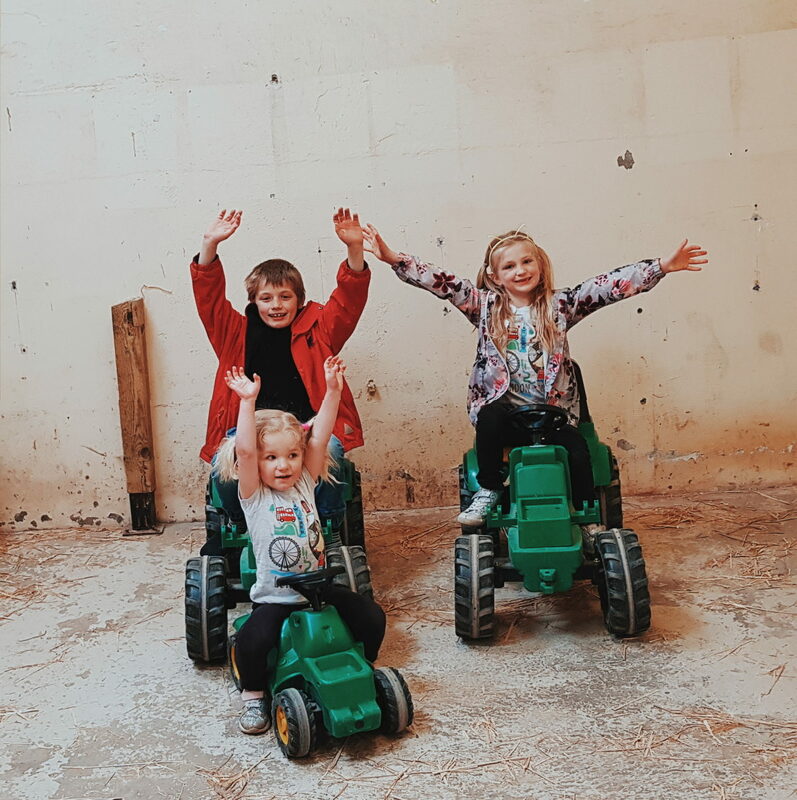 After petting as many as we could and after washing our hands, it was great to be able to play in one of the stables on toy tractors for a little while, before calling it a day and heading home. 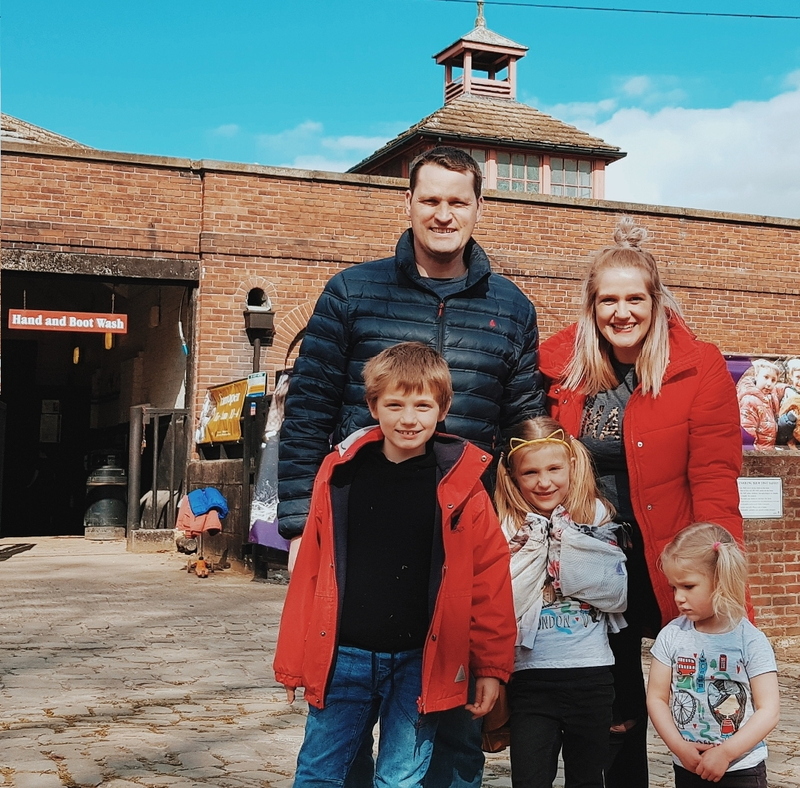 Now we know just how much fun can be had together at not only the farm and around the grounds, but in the house also – Temple Newsam is most certainly going down as a family fave of ours here in Yorkshire! 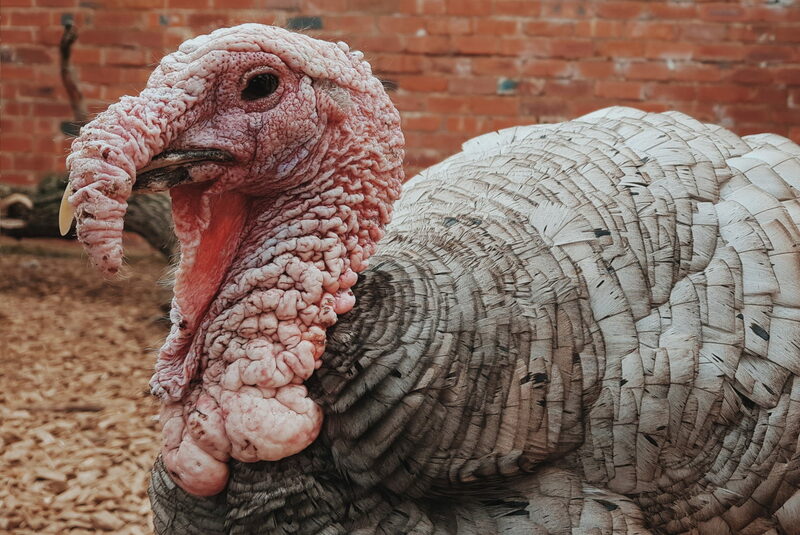 It is well worth the price and travel from East Yorkshire, so if you have an opportunity to visit this week for Easter, don’t forget to take the fantastical monster egg hunt in the house and participate in their “hidden hatchlings” event where you can also make your own baby beast in an egg to take home. (Other events are running throughout the year). 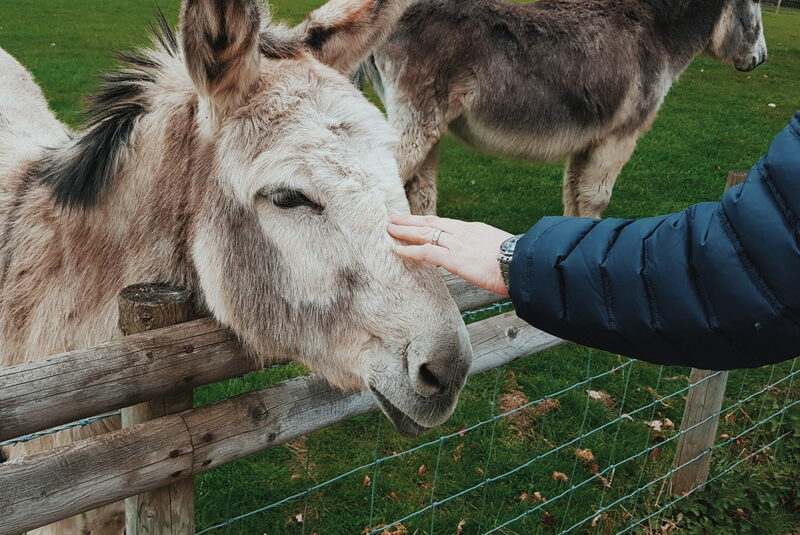 Wander the beautiful halls of the house and nosey in the rooms, and pet the lush new animals in the farm – it is a day filled with fun and joy for all. There is ample parking around, and in between these times you can have walks, bike rides, games and picnics on the grounds and in the woods. They have lovely gardens, that whilst we didn’t get around to on this visit, are well worth a walk around – especially in the summer. There is an onsite cafe/tea room and shop, toilets and oodles of space for a picnic too. 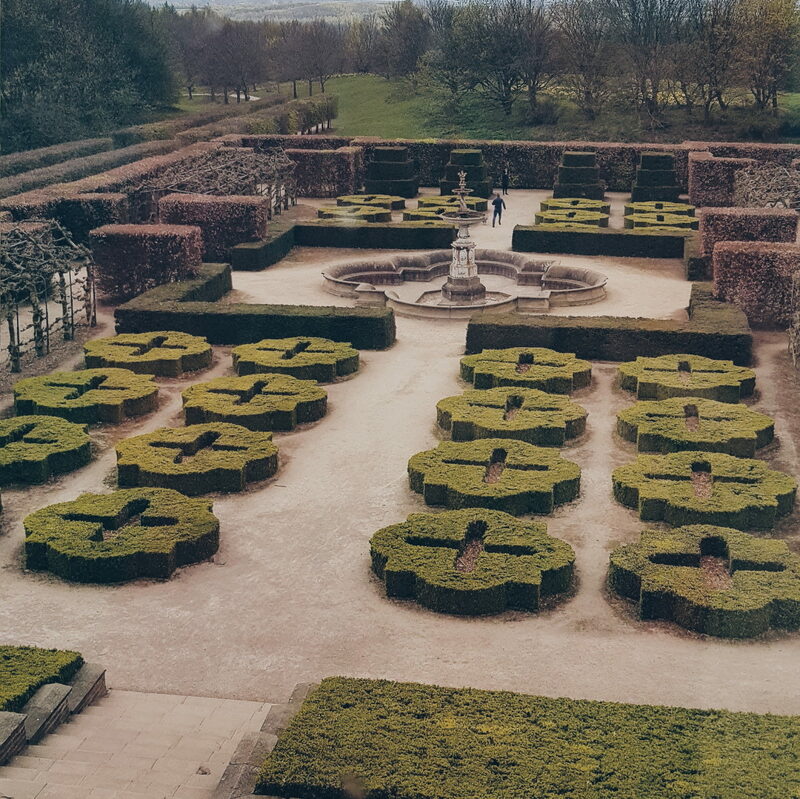 Temple Newsam is filled with things to do this Easter and makes for an excellent adventure in Yorkshire! I hope you have an opportunity to visit soon and that you’ll love it as much as we do. *Please note that if you are pregnant, then visiting the farm in Lambing season is not advised! *Many thanks to Temple Newsam for such a wonderful family day out. This visit was complimentary in return for our review. Previous Post GoldStar Recruitment – Offering Relief Chef’s to London and Beyond!